Josh had used a Marshall JCM900 100 watt head dating back to 1992 on Kyuss' classic album "Blues for the Red Sun". It was used in conjunction with a Ampeg 8x10 cabinet or a pair of Ampeg guitar cabinets later on during the recording of "Welcome to Sky Valley" in June of 1993. When Kyuss toured Australia with Metallica in 1993, a pair of JCM 900s can be clearly seen behind Josh, powering a stack of 1960A and B, Marshall 4x12 cabinets, and another Ampeg 8x10. 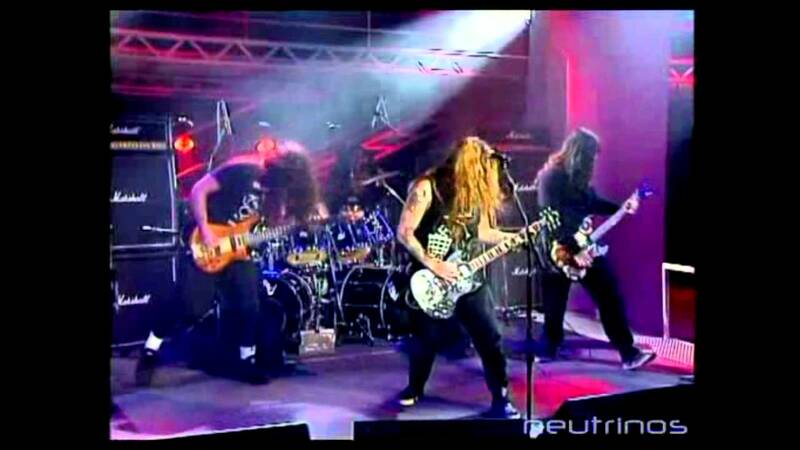 Can be seen in this video of their performance on Later with Jools Holland in 2007. Around the time of recording Oasis’ first album, Noel started using Marshall heads and cabinets. The usual setup was two JCM900 heads, each one connected with the Marshall cabinet. He probably used these amps on most of the Oasis’ albums until 2000s. Those amps were used for 1994 concerts, as seen in [this](https://www.youtube.com/watch?v=Th-IHpLgH_8) video, where they are seen at 3:43 minute mark, and they are behind him the whole time. Also, Bonehead is also thought to use those amp heads. Behind Thom in this very old performance you can see a JCM900. In this picture Dave Weiner recalls the using of a Marshall JCM 900, a JCM2000 TSL 100 and two Mesa Boogie cabinets. Dave Navarro uses a Marshall JCM 900, as shown on [this](http://www.guitargeek.com/dave-navarro-janes-addition-guitar-rig-and-gear-setup-2012/) Guitar Geek's rig diagram. From Musician Magazine - September 1993 (Interview with Kim & Tanya): "I usually go through the JCM 900, but Kelley bought a new Marshall cabinet, so now I let her use it and I use an old JCM head and cabinet. I also have a Peavey Classic 50 and an old Sears Tremolo amp that we've pasted the word 'Marshall' on." Robert uses a Marshall JCM 900 amp head, as shown in [this](http://www.guitargeek.com/robert-poss-band-of-susans-guitar-rig-and-gear-setup-1995/) Guitar Geek rig diagram. Ace and his guitar tech [detailed his rig and gear](http://www.guitargeek.com/ace-frehley-guitar-rig-and-gear-setup-2010/) setup in a 2010 interview. In this interview with Guitar Center, Tom DeLonge explains the usage of the Marshall JCM 900 4100 100 Watt Hi Gain Dual Reverb in his signal chain. 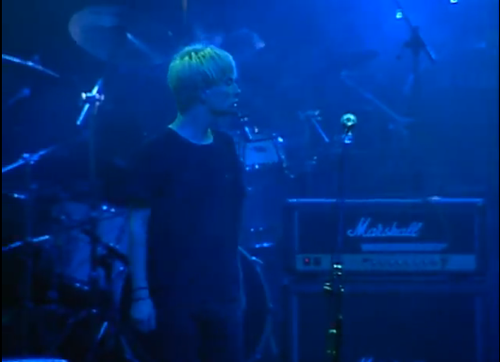 You can see Tim using a JCM900 here live. Eg: 10:45. In this article by Reverb, it is explained that Alex used JCM 900 Dual Reverbs on " Counterparts" and " Tests For Echo" albums. > " The solid-state amps would stick around for the one-two pop punch of Presto and Roll the Bones before Marshall amps were reintroduced in the form of the gain-happy JCM900 Dual Reverb on Counterparts and Test For Echo. The band’s huge sound would be heard on the drop-D tuned “Stick It Out” and the furious driving chords of “Time and Motion."" If you look at the number/layout of the knobs, you'll see it's absolutely a 900, rather than an 800 or a 2000. As for whether it's a 900 4100 vs a 4500... that's just me guessing by the sound of a 100w over a 50w. But it's definitely a JCM 900 he's playing. 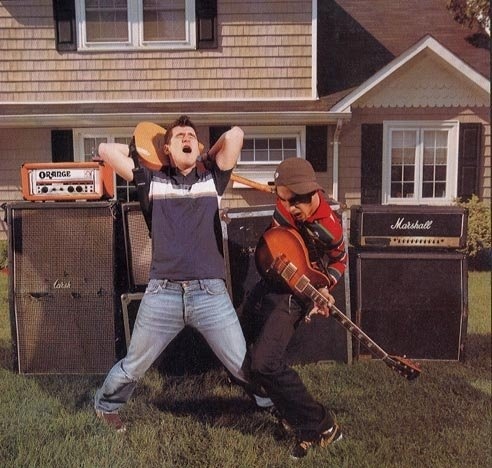 "I'VE BEEN PLAYING MARSHALLS MY WHOLE LIFE AND SO DID MOST OF THE PUNK BANDS I GREW UP LISTENING TO. WHEN YOU FIND SOMETHING AS RELIABLE AND CLASSIC AS A MARSHALL, YOU DON'T MESS WITH ANYTHING ELSE. " 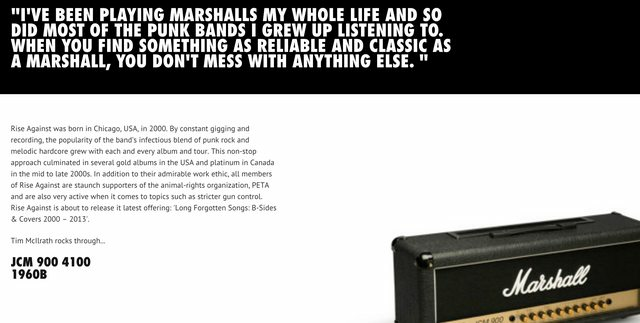 -Tim Mcllrath on Marshall amps (from [the official Marshall website](http://www.marshallamps.com/artists/r/rise-against-tim-mcilrath/)). Regarding amplifiers, Zach uses a JCM 900 as a backup to the JMP. 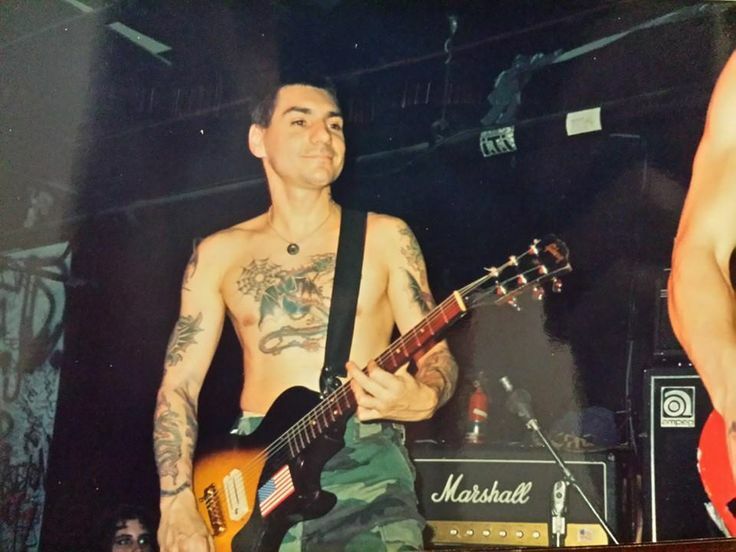 he played the JCM900 a long time before joining Blackstar. 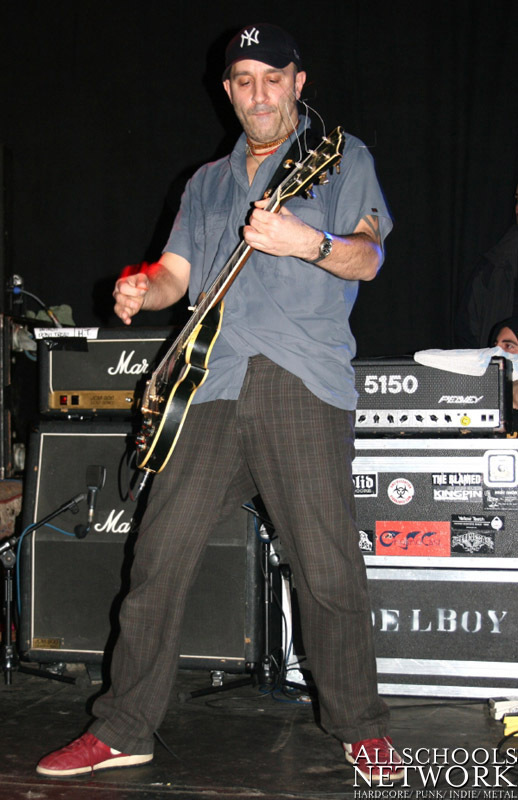 Bradfield mentions using a Marshall JCM 900 amp in this interview, in the section on his Gretsch Chet Atkins. "It's pretty simple, a JCM 800 for clean, and a JCM 900 for distortion," Mike says, at 1:20, in this video. According to Guitar Geek's rig diagram, Butcher uses the Marshall JCM900 amp head. At the very beginning of the page, next to the first picture, it is stated that he uses JCM 900 amps mostly, in addition to Soldano. "Thank you @jmcperformance for fixing my head! Sounds Epic!!" According to live rig list from Blue Oyster Cult's website, Dharma uses the Marshall JCM 900 dual reverb head. Some of Trey's guitars and his two Marshall JCM 900 can be seen here. On the Dirty Work tour in 2011 Alex was using a Marshall JCM 900 into a Palmer PDI-03 to get his live sound. A photo can be seen of his rig on this post by their sound engineer at the time, Evan Kirkendall. On the Official Quo website it states that along with the JCM 800 Lead series, Rossi also uses a JCM 900. The official Status Quo website states that along with the 800 Rick sometimes uses a JCM 900. From an Interview with Guitar World - http://www.guitarworld.com/interview-paul-dean-and-loverboy-are-set-rock-n-roll-revival What guitars/amps are you using now? I thought you’d never ask. 2011 Gibson Les Paul Axcess, with a Floyd-Rose whammy. I changed the pickups to Gibson T500’s and put a big ol’ brass block in the Floyd. TC Electronics G System into a Marshall 900 50-watt. Four Marshall 900 cabs, but I just use the top two, that way I‘m not too loud for Mike. "Two Marshall JCM900s with Greenback Celestions loaded inside. They sound great, but I’m negotiating a deal on a new line of amps. They’re 80 watts – a little less wattage – but because the deal isn’t done yet, I can’t mention any names." 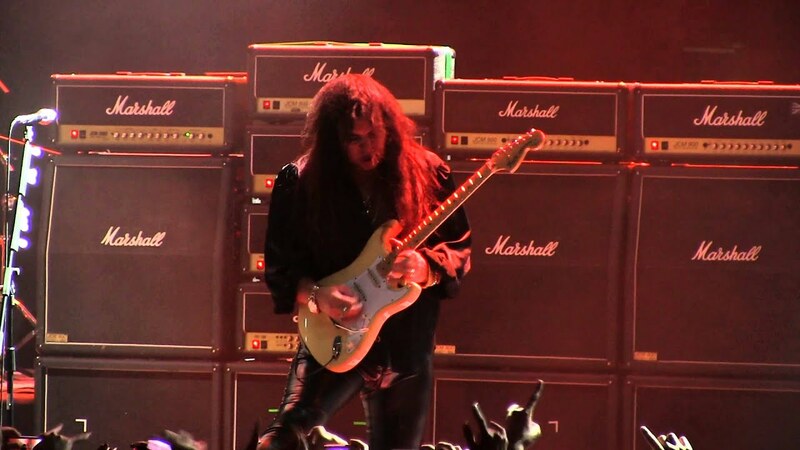 At 10:39, Deal's well-worn Marshall JCM-900 can be seen. 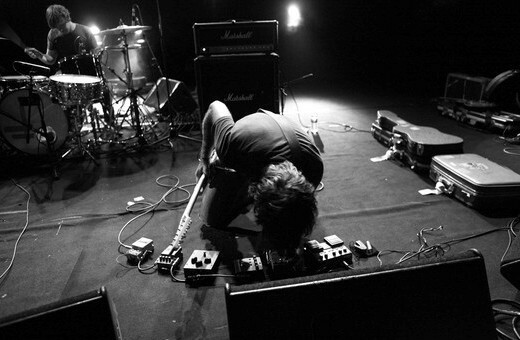 John Nolan's rig has always consisted of the Marshall JCM 800. The cab faces the back of the stage. Tom Keeley of [Thursday](http://equipboard.com/band/thursday), and his tech discuss his Marshall JCM 900 in this [rig diagram](http://www.guitargeek.com/tom-keeley-thursday-guitar-rig_and-gear-setup-2004/). "Happy Easter????! This is after the chocolate... @kochamps @nexi_industries @prsguitars @gurusamps @daddarioandco @digitechfx @officialskunkanansie"
At 00:16, Andy is seen in front of two Marshall JCM900's. "They all sounded killer and the amps used were my old Marshall 900 head and a dual reverb model as well as the Egnater Rebel 20 Watt head. We actually had the Egnater on a very low wattage setting, and it still sounded huge!" Notice in the back. Dissection was known to use JCM900's. At 20:31 in this Rig Rundown for Tommy Henriksen of [Warlock](http://equipboard.com/band/warlock), [Mojo Gurus](http://equipboard.com/band/mojo-gurus), [Clear Static](http://equipboard.com/band/clear-static), [Benedictum](http://equipboard.com/band/benedictum), [Cavo](http://equipboard.com/band/cavo), [Emphatic](http://equipboard.com/band/emphatic), [China](http://equipboard.com/band/china), [Hyper Crush](http://equipboard.com/band/hyper-crush), and [Revis](http://equipboard.com/band/revis), his gear is displayed, showing his Marshall JCM 900. 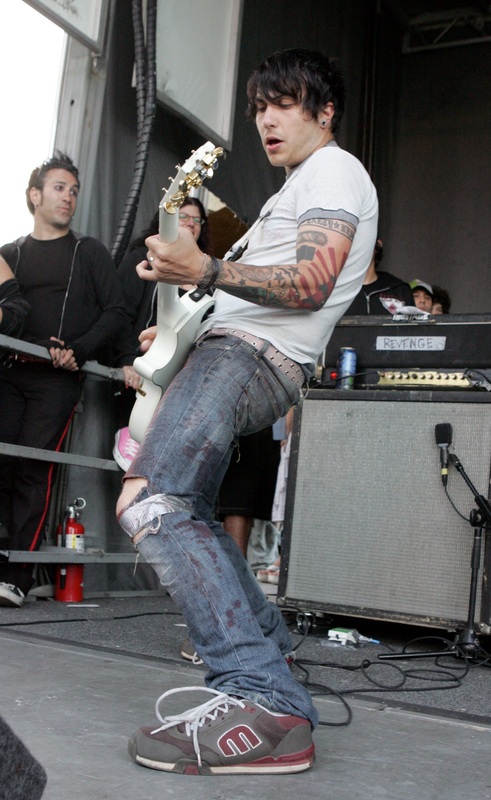 Behind A.J., clearly seen is a JCM900 in the background. This is his regular equipment, just like his [Les Paul Custom](http://equipboard.com/items/gibson-les-paul-custom-electric-guitar). Moving on to his amplifier, Mark has a JCM 900 which he describes as having a thin band-range, but still preferable. In this diagram he can be seen with this amp. Throughout the whole performance, Marshall stacks can be seen behind Molko in this 1996 Loreley Festival performance of "Bionic". One of the heads is Marshall JCM900. This is slightly more difficult to see, so let me explain. Right below is Munaf himself. You can tell based on his hairstyle and body shape as well as the types of pedals he has. So, look behind him and you can see a Marshall stack. Based on the looks, it is a Marshall JCM 900. John's second amplifer that he uses on stage is a Marshall JCM 900. Akira can be seen here performing back in 2011. Referring to the timestamp on the Youtube link, you can get a good view of Akira's Marshall head, specifically a JCM 900. "I bought … a used Soldano and a Marshall JCM900"
The amplifier head on the right hand side stack of Orange 4x12" cabs as seen at 2:58 in this video of Catfish and the Bottlemen playing at Reading 2015 is a Marshall JCM900 as denoted by the just visible name stamp, but also more obviously by the number of controls on the face of the amplifier head. 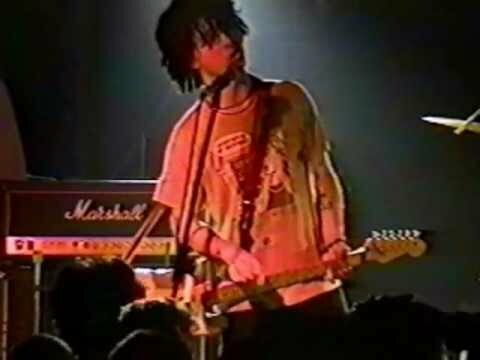 Behind Ad-Rock at 0:46 in this live performance of Sabotage you can (not very clearly) see a Marshall JCM-900. It's an SL-X Model! Probando sonido en #SomosRockFest con @guillermoandrsn , en San Pedro Sula, Honduras. This has been Nathan's main amp since early 2014. The source is from Alistair Pritchard's Instagram account, he was the guitar technician for Darlia at the time. As seen in the back of Carmen in her Instagram account. Seen in the background of this live shot, and mentioned in a few other posts, this is the amp Aric tours with. 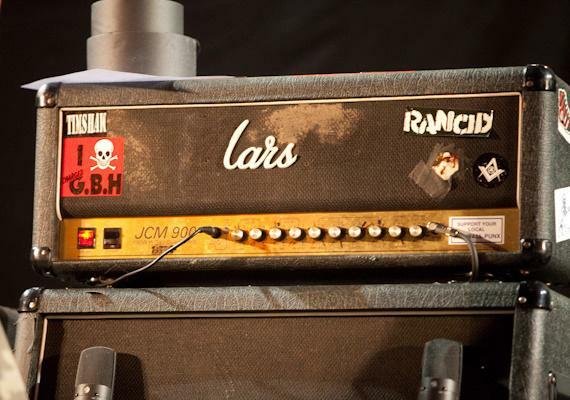 The world-famous Marshall JCM900 is used by countless artists, including Lars Frederiksen (Rancid), John 5 (Rob Zombie), and many, many others. It features a gain control, which is used to add extra beef to your dirty sound. It is Hi - Gain, and is also a dual reverb amp for those ambient, clean guitar sounds. It features 100 watts. This incredibly popular amplifier came out in the 90's, and the first notable users were Billie Joe Armstrong (Green Day) and Noel Gallagher (Oasis). It was the sequel to the JCM 800, and the predesscor to the JCM 2555. It is definetely a great amp for any pro out there in this huge world. Love the clean channel, not much of a fun of the dirty.. I use a big pedalboard, which is where my overdrive sounds come from, so this amp is perfect for me as it has plenty of headroom and the clean channel sounds amazing! I've occasionally used the overdrive channel in an emergency when a pedal, patch lead or something has died part way through a gig, but I've never really used it as a go-to sound. I find it lacking quite heavily and have to fiddle with the EQ controls for ages to get a really good sound from it. As both channels share the EQ controls, this is quite undesirable as I like to have the EQ all set to 12 o'clock for clean but then all over the place for overdrive so it makes switching between channels a total drag. I find the EQ controls are very responsive, and the reverb is pretty variable for an amp as well. A lot of amps I've tried will overpower the "personality" of a guitar and make everything sound quite distinctively similar, not exactly the same of course, but similar. For example, a Fender Twin will always sounds very much like a Fender Twin with either a Les Paul or a Stratocaster. I love how the JCM900 lets any guitar's individual sound come through. I've recently started playing with a strat for the first time in years and I love how differently this amp responds to the single coils. A very versatile amp, even if the overdrive channel leaves a bit to be desired. I absolutely love my JCM 900. It has all the familiar Rock Tones you love. I use it for every Guitar Recording and even if you turn all the knobs at 12, it will sound good. When you need more to reach the audience in the back. This amp is Triple trouble, It has 3 times the Power, Sound, and is versatile in every way. Combined with my other half stack gives large venues that full and broad sound for all to here. Great amp for metal, rock and blues. Sounds even better with a slight overdrive in the pedal chain with a noise suppressor. Several people don't like it, but I totally LOVE it! Specially the dirty channel, that's how distortion should sound like: full throttle way up ahead! This and a Les Paul or SG is a great marriage and the perfect couple! A must have!